3 years & countless hours of hardwork. We are so blessed by how everything came together to make our vision a reality! The original barn was built in the 1860's & put on Caton records in 1870. 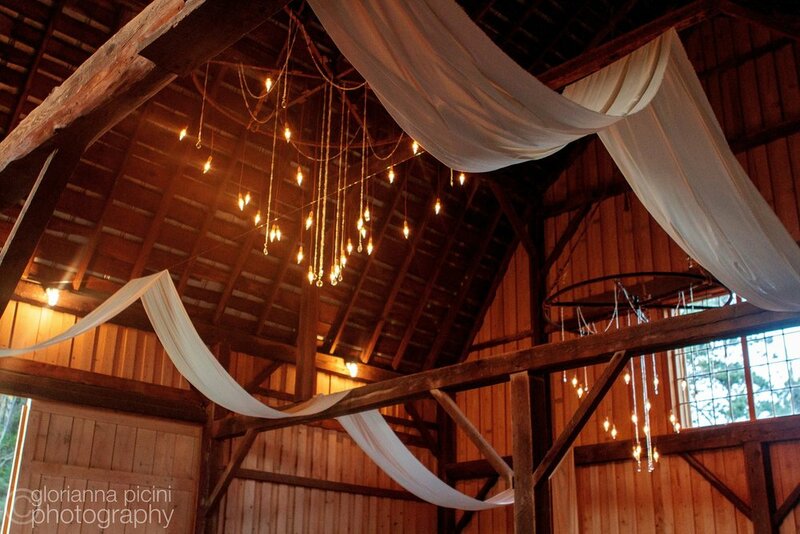 Throughout it's years, the barn has seen many different types of events. 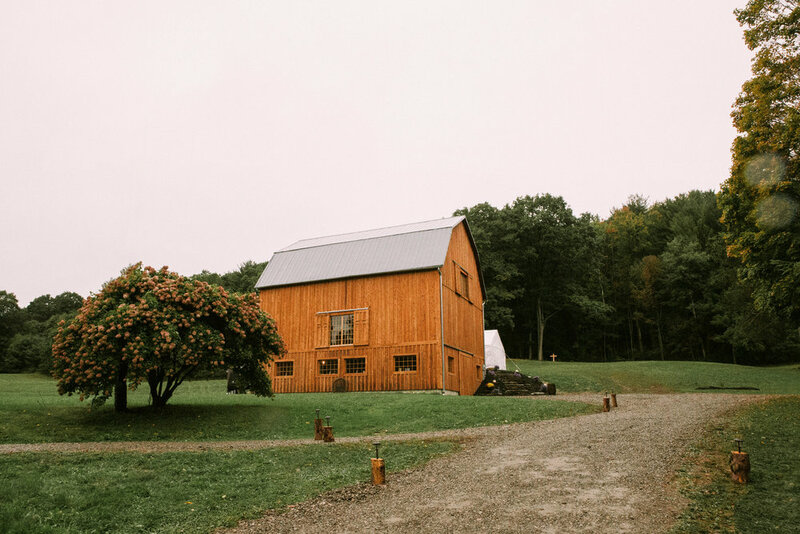 Our family grew up with this barn being the center of many play days, filled with imagined battles and princesses. In the winter of 2014/2015 we removed the unsafe and crumbling foundation, lifted the barn onto cribbing and raised it an additional 3 feet. The next three years were filled with many long family work days, headed up by our ever talented father who had the final vision in his head and our friend and neighbor, Bill Ginnan. The beams are all original to the structure! The rest of the lumber was milled for us by the Amish with all the floors and the main sill beam being cut from our own woods. The main sill beam was cut from a huge hemlock on our property. We dragged it down to the barn where our friend Daniel Stoltzfus hand cut the beam 45' long, straight as an arrow with his chainsaw. Finally, in 2016 we opened the doors to our first event in the new barn.